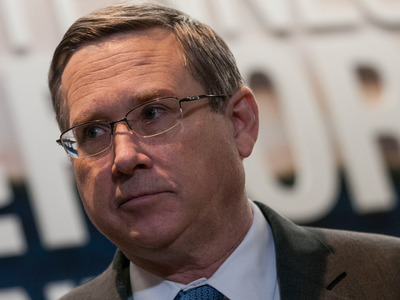 Republican Illinois Sen. Mark Kirk released a surreal campaign ad last week, detailing multiple occasions where he has split from his party, including on presumptive GOP presidential nominee Donald Trump. The ad, titled “Even More,” noted that Kirk was the first Republican to support a vote on President Barack Obama’s Supreme Court nominee Merrick Garland. A narrator in the ad also called Kirk “a leader on protecting a women’s right to choose” regarding abortion rights. “And Mark Kirk bucked his party to say Donald Trump is not fit to be commander in chief,” the ad continued, referencing Kirk’s recent unendorsement of the Manhattan billionaire. “Mark Kirk, courageous and independent,” the narrator finished. Kirk is locked in a tough Senate race with Democratic congresswoman Tammy Duckworth. Illinois, being an solidly blue state, is viewed by pollsters as one of the most likely seats to flip in the fall.